My clients are often under the impression that I have at the ready a library of forms such that drafting an agreement for a particular deal is pretty much a matter of filling in the client’s name and the date of the agreement. In reality, while in most cases the drafting of an agreement means using one or more existing agreements or forms as a starting point, there is usually too much factual variation between different deals to avoid having to engage in some active, brain-taxing drafting. Some websites have been marketing form agreements that companies could potentially download and use without incurring legal expenses, though these sites are careful to offer a disclaimer that what they are offering is not a substitute for legal advice. (This of course begs the question why you’d pay to download a form if you’re then going to pay more to hire an attorney who already has a form.) Although it’s possible to see how these sites can develop a sophisticated Q&A approach to get input to customize the agreements, along the lines of how tax preparation sites work, I’m skeptical that this can ultimately be a complete substitute for an attorney’s advice. If there are 10 open issues in a proposed agreement where each side wants a different term, each side needs its own advice on which of these are more important than others, how the issues can be interrelated, etc. So I’m not losing sleep, for now anyway, about having my job replaced by a robot. Before you conclude that I’m a total Luddite, let me separately praise a recent technological development in the area of form agreements, namely the availability of open source form agreements intended for use by attorneys. For example, the National Venture Capital Association (NVCA) has made available a series of form agreements for VC transactions that are annotated and also provide company-favorable and investor-favorable alternate versions of certain terms. 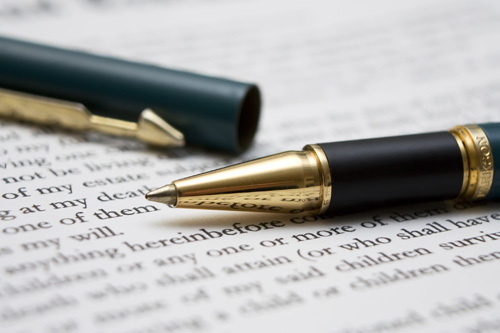 Since these agreements are quite long, the ability to review a draft of one of these agreements by reviewing the changes made to the NVCA form saves an enormous amount of attorney time. Similarly, the Orrick firm has made publicly available documentation for start-up companies to use as a starting point for drafting. Ultimately, if attorneys can universally agree on appropriate starting points for agreements, legal fees for transactional work will decline because of decreased review time. I view this as actually beneficial for attorneys because it allows us to spend a greater proportion of our time on substantive matters.